In order for our school to receive credit, you must mention A.L. Lotts (can be either dine in or ordering online). Help send our friends to the Special Olympics and provide a ramp for the Shrek Playground! Each donation will go to help students attend the Special Olympics and provide a much needed playground ramp for our friends in wheelchairs. We ask that a donation of at least $1 be made to the PTA in order for a student to wear a hat on Monday. If you feel led to, please give more, so we can provide for our friends. It’s time to show our teachers, staff, and administration how much we appreciate all that they do for our families! Below are suggestions for ways to show our appreciation. They truly appreciate every gesture! Monday – Words from the heart. Bring a simple note or homemade card especially for their teacher. Tuesday – Thank you for helping us bloom. Bring in a flower – paper, real, or plastic fof their teacher. Thursday – Stock the classroom. Bring in a classroom supply to help restock the shelves. Friday – Favorite things day – Coordinate or share the cost of treating your teacher to one of their favorite things. You can find your teacher’s favorite things list in the office. Don’t forget our encore teachers, office staff, cafeteria and custodians. They also work hard for our children! Join us at the Cedar Bluff Salsarita’s on February 2nd from 11:00am-9:00pm. Dinners must present flyer for our school to receive credit. We hope to see you there! Class picture day has been rescheduled for Monday, February 8th. Please contact the school with questions. Tomorrow night is our first family meeting of the school year. We will be presenting 2 programs that are new to our school this year. Mrs. Bosse will be discussing TN Ready – the state’s new improved version of TCAP and what that will mean for our children. Ms. Filtness will also be discussing the Go for the Gold program being introduced this year. 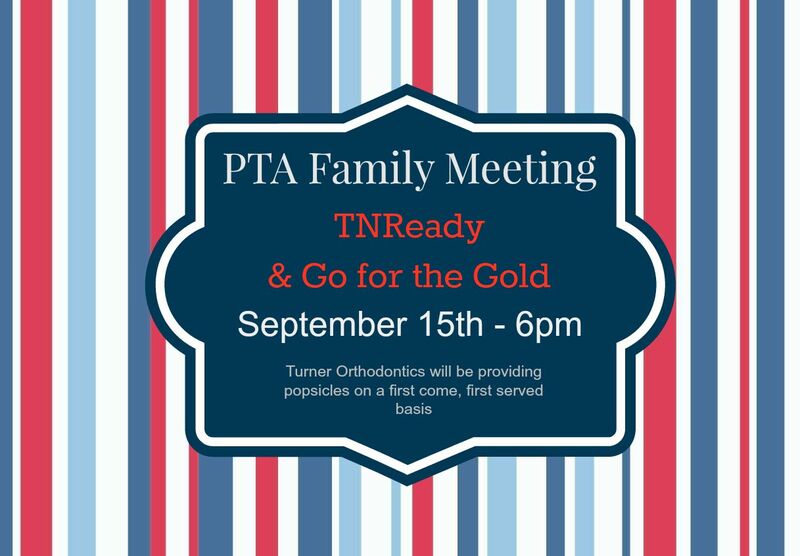 Turner Orthodontics will be providing popsicles on a first-come, first-served basis and the playground will be open for the children to come and play. 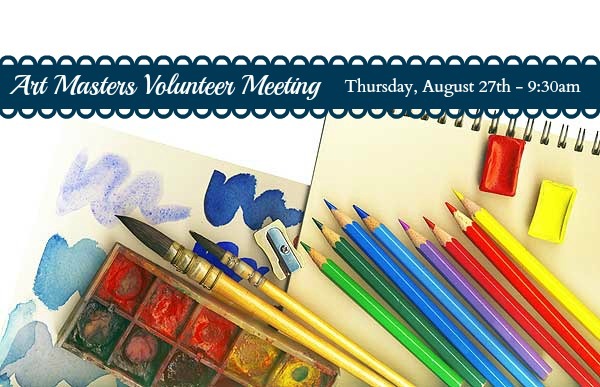 There is a meeting tomorrow morning from 9:30-10:30 for parents who are interested in volunteering for Art Masters. The Art Masters Co-Chairs will answer questions and a calendar will be available to sign up classes. Please check with individual teachers for class involvement as not all classrooms choose to participate.